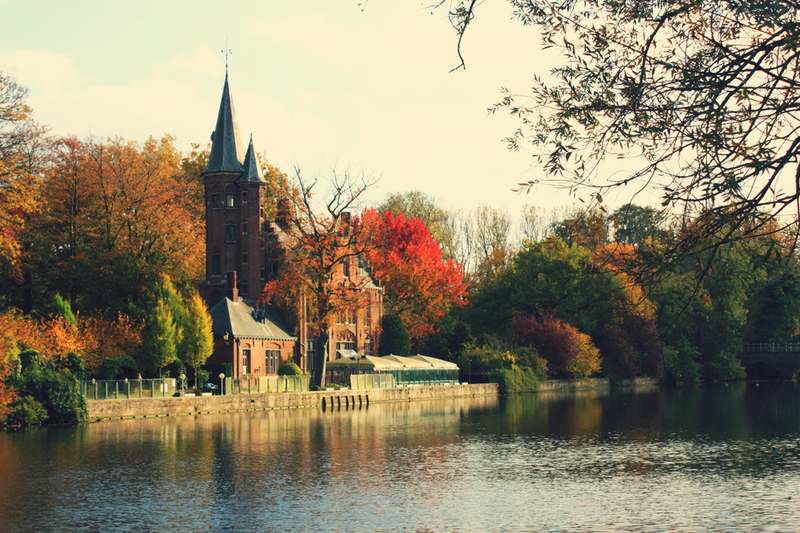 Brugge is a breathtaking, perfect fairytale town. Aileen, Eric and I were lucky to arrive for the prime autumn foliage time, and as Aileen put it, "Every moment is a perfect photo opportunity." Belgian beer average around 9% proof, with some at 11-12%. On our hour-long train ride back to our Brussels hotel, Eric drank 6 bottles of Belgian craft beer, all a different variety. He was not only drunk while we golfed down one-euro waffles before bed, but also when we woke up at dawn 6 hours later to catch our flight. Wheeeeeee what a fun three days of a diet consisting solely of chocolate, waffles, mussels, frites, and beer. Two nights of sleeping on #swanky furniture. One day of heavy Brussels exploring. Note: the Manneken Pis might be the most underwhelming landmark ever, but you definitely have got to see it because you can't go to Brussels and say that you did NOT see it.